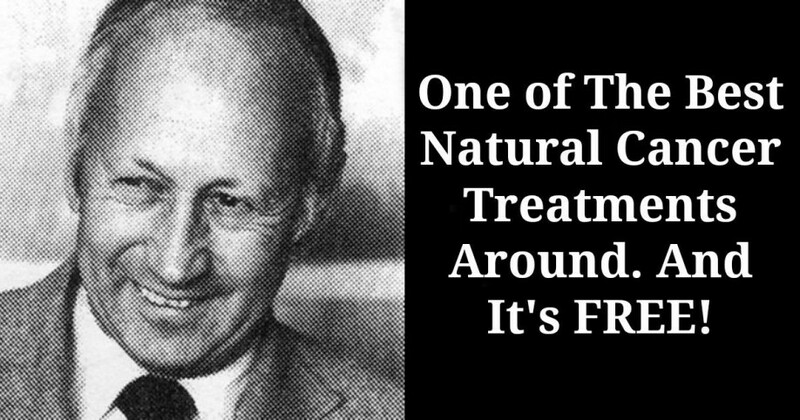 One of The Best Natural Cancer Treatments of All Time. And It’s FREE! We’ve all heard that “laughter is the best medicine” but could it really be true? Medical studies have shown time and time again that laughter can improve the state of your mind and your body. In some hospitals, laughter is used as a complimentary treatment to improve the well-being of cancer patients. One case study showed that humor improve the survivability of a late-stage gastric cancer patient by helping the patient feel safe and relaxed, improving the efficacy of conventional treatment, stabilizing her condition and increasing her joy of living (1). Scientists found that laughter helps fight cancer by increasing your body’s levels of IFN (Interferon-gamma), which stimulates the production and activity of B-cells, T-cells, NK cells and immunoglobin. These specialized immmune cells fight cancer and other abnormal cells as well as pathogens (2,3). This phenomena is also triggered by exercise, sleep and proper diet. The true value in laughter is how it fights chronic stress, which is the number one cause of inflammation and disease. It works by shutting down stress hormones (like cortisol) and stimulating production of fell-good hormones (like dopamine) (4). Interestingly enough, laughter induces “gamma” frequencies, which are observed in the brains of experienced meditators. These frequencies help stimulate calmness, synchronize neuron activity and boost memory. Not surprisingly, virtually every study conducted on the health benefits of laughter indicated positive results. On top of having no side-effect, laughing everyday is proven to improve mood and speed up healing (5). When you laugh, your heart and respiratory rate go up, your breath deepens and your body receives more oxygen. After the laugh, your muscles relax and your heart rate stabilizes. This change in blood pressure improves endothelial function and maintains vascular health. Other health benefits include pain relief, release of muscle tension and reinforcement of a positive outlook. Laughing also exercises the muscles in your face and chest to stimulate blood flow and send more oxygen and nutrients to your tissues. Laughing is even thought to be a great treatment for depression and anxiety. Plus, it improves mental and physical health by triggering the release of neuropeptides that fight stress and illness (6). “I believe that if people can get more laughter in their lives, they are a lot better off,” says Steve Wilson, MA, CSP, a psychologist and laugh therapist. “They might be healthier too.”(7). 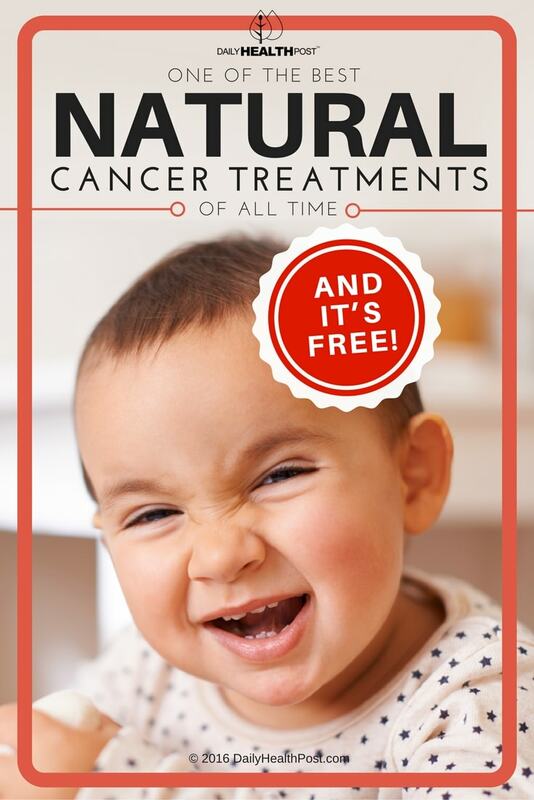 Latest Headlines » Wellness » One of The Best Natural Cancer Treatments of All Time. And It’s FREE!